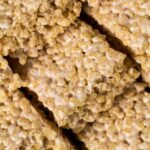 The BEST Rice Krispie Treats – Deliciously thick, chewy, ooey gooey bars that are loaded with Rice Krispies and melted marshmallow. 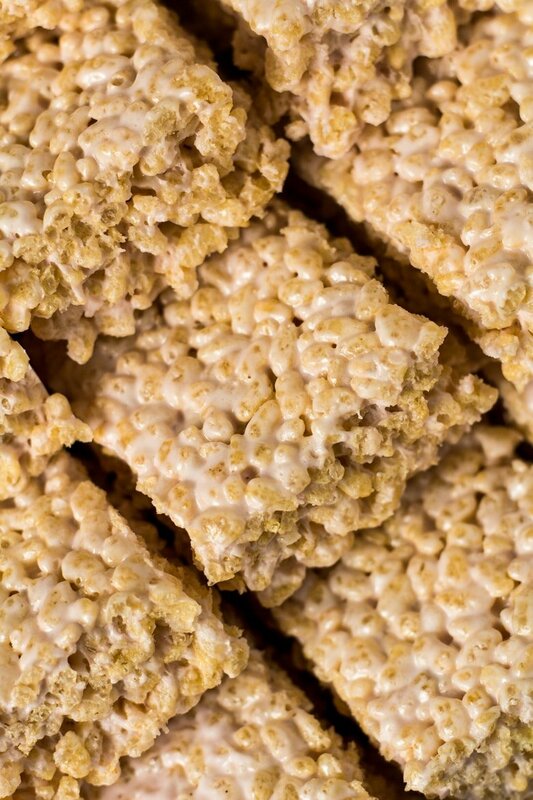 These Rice Krispie squares are seriously good! Rice Krispie Treats – one of my all-time childhood favourite snacks (and still is!). You know I love recreating my favourite treats (see my Homemade Jaffa Cakes), so of course I needed to make some homemade Rice Krispie Squares. These squares are SO thick, chewy, and ooey gooey. I was generous with the marshmallows AND Rice Krispies in this recipe, finding the perfect ratio between the two. You’re gonna love them! Milk: A little bit of milk makes for extra gooey bars! To make these squares, simply start by grabbing a VERY large microwave-safe mixing bowl (at least a 3 -4 litre bowl). Add the butter and mini marshmallows, and heat in 1 minute intervals, stirring after each one, until melted and smooth. Add the vanilla extract and milk, and stir until combined. Add the Rice Krispies and mix until completely coated in the marshmallow mixture. Spoon the mixture into a 9×13-inch cake pan lined with foil or parchment paper. Spread out and press firmly into a packed, even layer. Allow to set at room temperature for at least 30 minutes before cutting into squares. This recipe can easily be halved to fit a 8×8 or 9×9-inch square baking pan. perfect for kids AND adults! 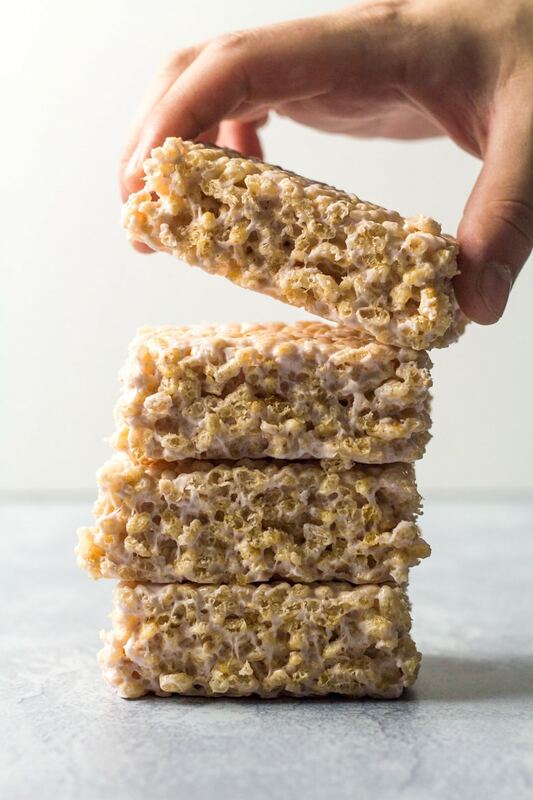 How long will these Rice Krispie Treats last? These bars can be stored in an airtight container at room temperature for up to 3 days. Can I freeze these bars? Yes, they also freeze well, wrapped individually, for up to 2 months. Thaw overnight at room temperature before serving. Try these delicious treats next! Craving more sweet treats? Subscribe to my newsletter to receive recipe updates straight to your inbox. You can also keep up to date on Facebook, Pinterest, and Instagram. Deliciously thick, chewy, ooey gooey bars that are loaded with Rice Krispies and melted marshmallow. 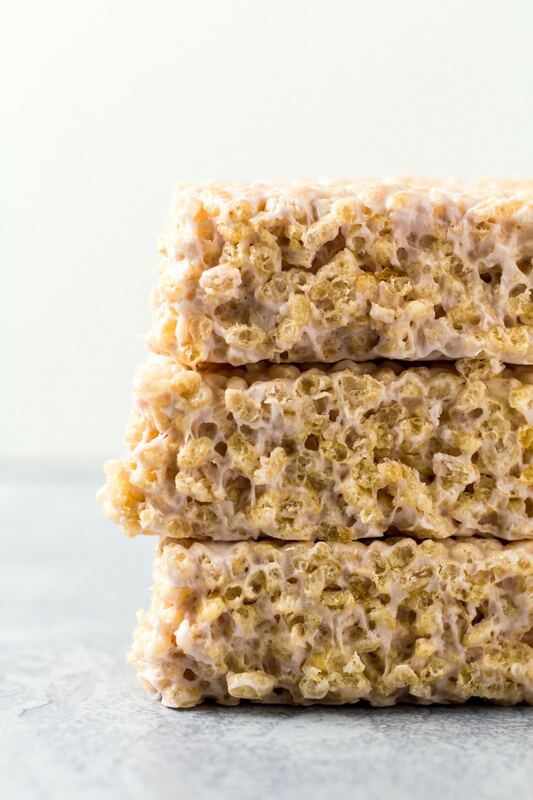 These Rice Krispie squares are seriously good! Line a 9x13-inch cake pan with foil or parchment paper. Set aside. Add the butter and marshmallows to a very large microwave-safe bowl, and heat in 1 minute intervals, stirring after each one, until melted and smooth. Stir in the vanilla and milk. 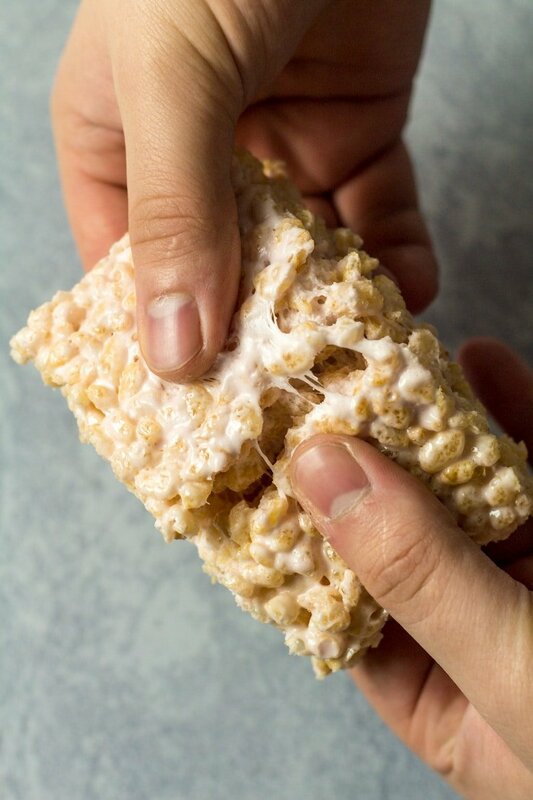 Add the Rice Krispies and mix until completely coated. Spoon the mixture into the prepared pan and spread out. Press firmly into a packed, even layer. This recipe can easily be halved to fit a 8x8 or 9x9-inch square pan. Leftovers can be stored in an airtight container at room temperature for up to 3 days. They also freeze well, wrapped individually, for up to 2 months. Thaw overnight at room temperature. Brown your butter first and add a dollop of coarse salt for an unexpectedly wonderful adult treat.